The Halo game series has a large number of ardent followers, not just due to the concept, the graphics and the action, but also due to the various types of special and disastrous guns used during the game. 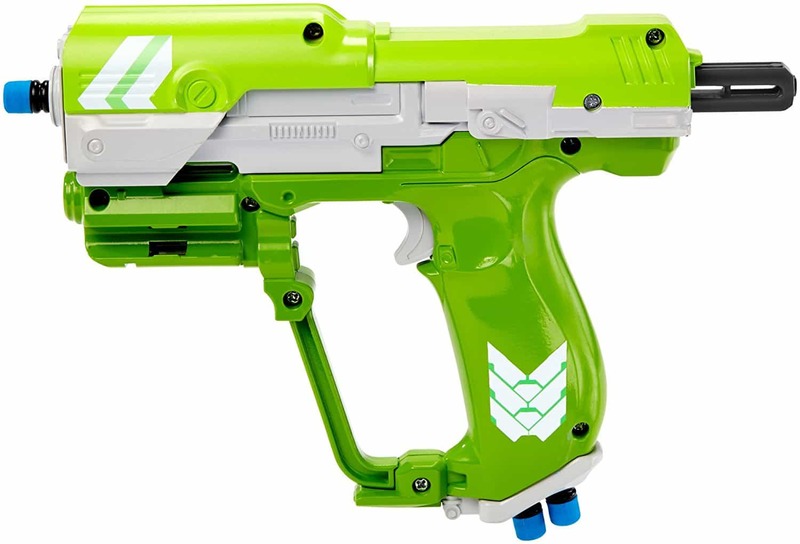 The Halo nerf guns are the most popular and awe-inspiring guns from the series and the fans have loved them so much that the company Boomco is now licenced to produce all the killer variants of the guns for kids so that they can enjoy playing with them and conduct mock missions of their own. Boomco is also a company which is the leader in making dart guns which seem like the real deal. 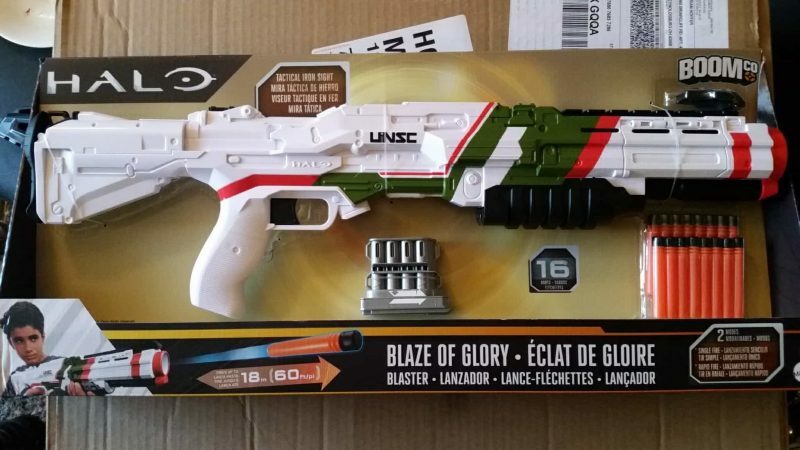 Boomco’s UNSC Blaze of Glory blaster is one such product which aims to complete the never-ending urge of Halo fans to own the amazing weapons shown in the game series and actually use them in their daily games. Known as the M45D Tactical Shotgun and produce by United Nation Space Command. By design, the gun is custom-made to replicate the in-game experience and give a real feeling to it. Having an 8-dart magazine along with a total of sixteen smart stick darts which can be fired using the flip-up iron sight and the tactical rail that are provided, the gun surely does justice to its virtual counterpart. Overall, the gun completely replicates the experience of the game in as safe a manner as possible, while retaining the fun elements in the toy. 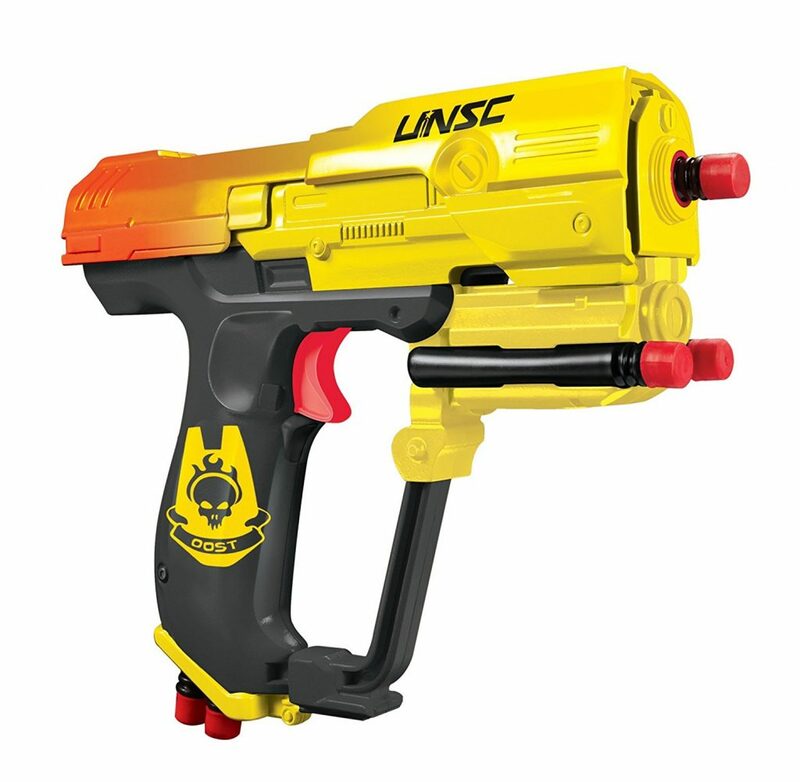 Just like the other Halo products from the Boomco house, the UNSC Blaze of Glory blaster is also durable, can stand minor accidents and drops and is perfect to be played with outdoors. You can have a small competitive match with your friends of who kills how many dummy targets and easily spend the afternoon basking in the glory of the fact that you own one of the most lethal weapon toys as per your imagination during the game. Type-33 Guided Munitions Launcher also widely known as the painful Needler, is a nicely detailed collectible that we highly recommend to any Halo series fans. It comes with enough darts to fill up the cylinder and the top compartments. Here is what you’ll like: Boomco can fire up to 22 rounds of explosive pink crystal projectiles in Halo 4. Amazingly, the darts have the ability to stick to the target without deviating. On the same note, this gun has a really good range. The bullets are plastic instead of foam, even though it’s not dangerous but if you fire within a short distance. 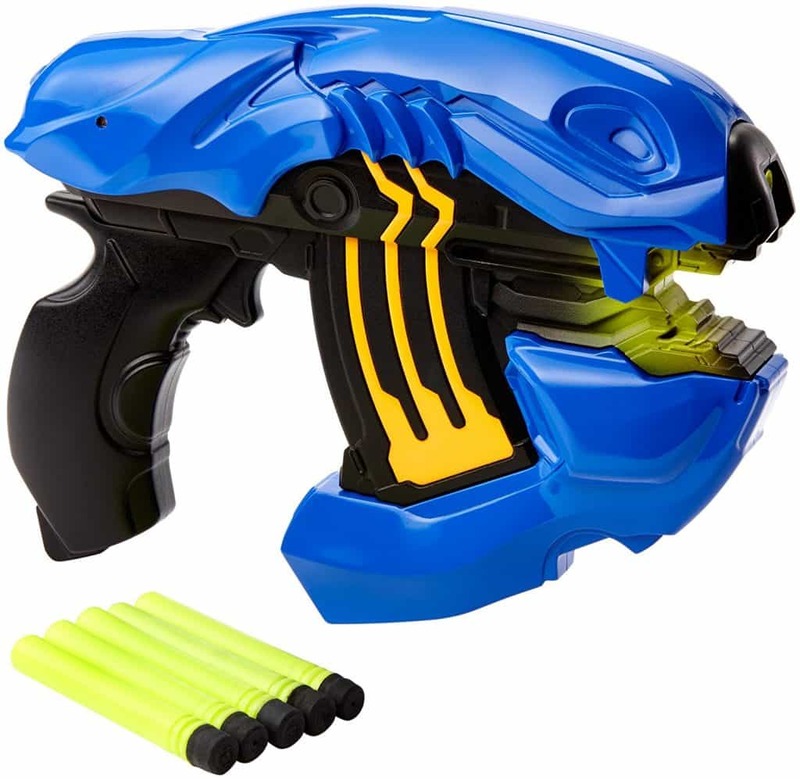 We also like the way all the darts light up at first, and then go off one after another as you pull the trigger, indicating you are out of ammo – just like how it was designed in the Halo game series! In conclusion, it does a good job as a look-alike toys. 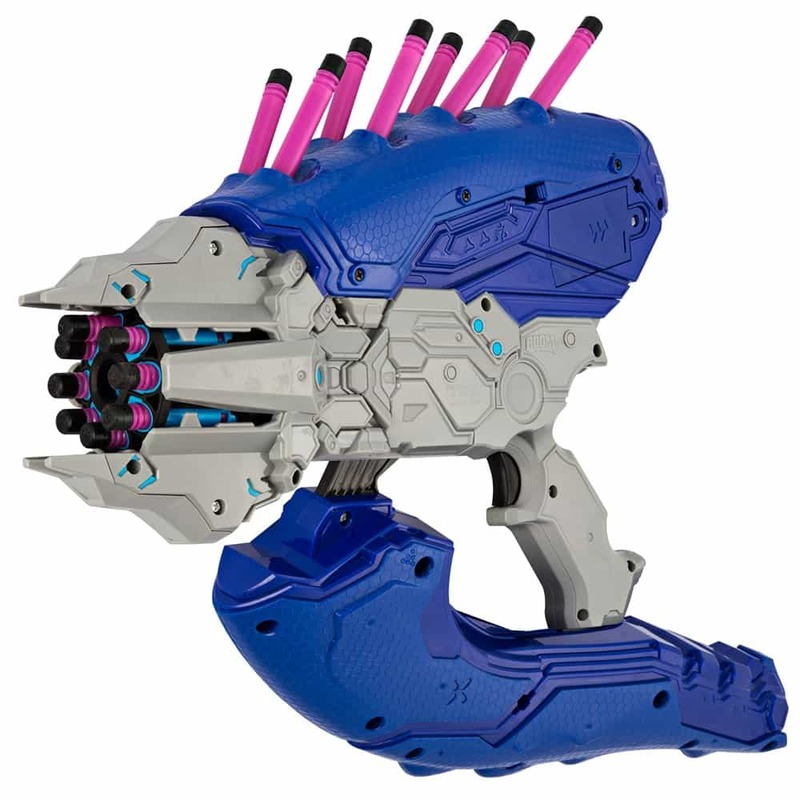 Voted as the most wanted weapon by Halo fans, the Needler is undoubtedly the best-looking design among Halo Nerf Guns from Boomco. 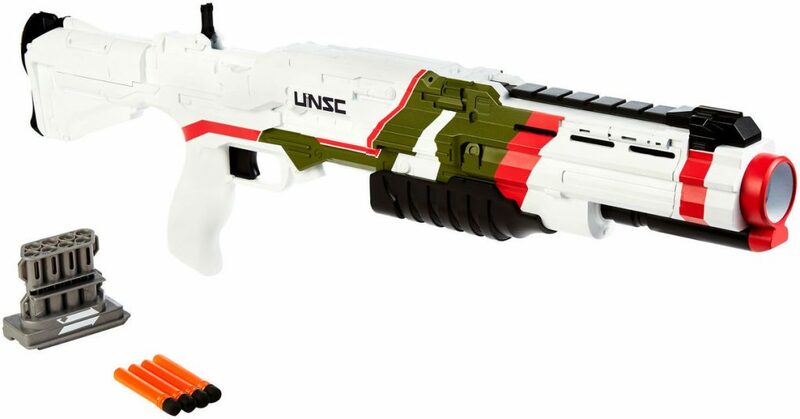 You won’t be wrong to call the UNSC MA5 Rifle the most iconic halo blaster ever released. 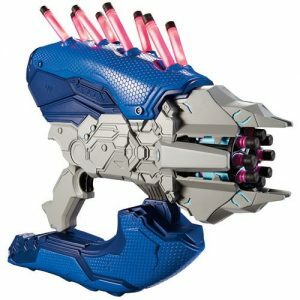 This is a great weapon for any Halo fan looking for a cool dart blaster. As the go-to weapon of the heroic Spartan – Master Chief, the Rifle was designed with a rapid-firing system. All you have to do is pump the handle to prime air pressure and fire off. The Rifle is designed to provide speed. It provides continuous firing experience with no jam, and it also comes with an interchangeable clips and extra clip storage to ensure quick reload. The MA5 features 2 8-dart QwikClip magazines that allows you load ammo through the side. When it’s loaded, the other remains stashed in this gun’s stock to keep the action on. The MA5 can use almost all sizes of magazines that BOOMco offers. But for authenticity, the magazines have a superb metallic silver finish. In summary, the color is different from what you see in the game. A repaint job would make this the best Ma5 halo assault rifle toy for cosplay. Other than that, the automatic features make this an enjoyable gun to shoot. Remember to get a 20 or 40 rounds clip to utilize it automatic function fully. A truly must-have rifle for Halo fans collector. Reload: Pull and slide the front handle to prime the air pressure and continuous fire dozen of darts. Boomco release new blue version of MA5 Rifle on October 2017. With a lower price point, the M6 is still a pretty fantastic gun to own. This gun is quite similar to the BOOMco’s Farshot that was released earlier. Just like its predecessor, you get a gun with a good shooting range and accuracy. With the smoothly operated slide-action system, you can fire darts up to 70 feet away. Thanks to its big size and comfortable grips, the M6 is amazingly easy to hold and to use. We also like that they can hold 4 extra darts which is big improvement from the 2 shots that earlier models held. However, do note that you can’t dry fire with this model. You’ll need to have at least one shot loaded since the trigger locks up after each shot. I bought this along with MA5 rifle as a combination. 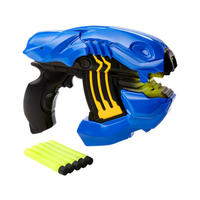 Great secondary weapon in Nerf war, it keeps you alive when your primary weapon ammunition runs out. Spiker the type-25 Carbine featured in HALO 2, were used by ruthless Brute warriors in the fight against the UNSC! The system is designed to avoid the hassle of reloading after every shot. 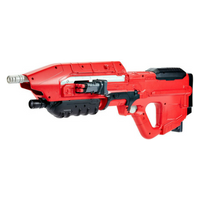 With Brute Spiker, you can fire multiple darts without needing to reload. if you are looking for more actions, you can even upgrade to a 20 or 40 Dart QwikClip. Other than its excellent functionalities, the design team has also placed close attention to ensure that it is as close to the design of the actual Brute Spiker. 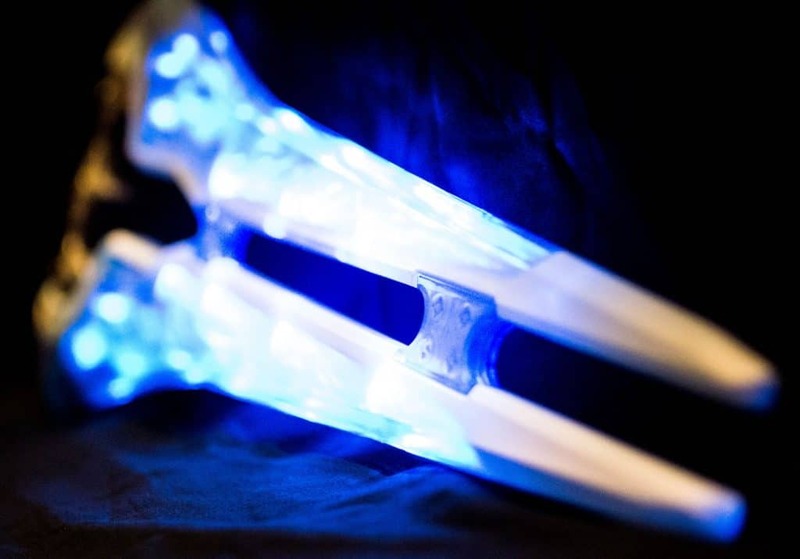 Sharp front blade and other exclusive Halo decorations were included to make it an unstoppable melee weapon when the ammunition runs out. The Spiker has an accurate, well detailed, and properly sized shell. It has a large handle that feels good in the hands. Notably, this handle is slightly angled. So that you get more leverage than with the vertical handles. The Halo Brute Spiker uses a 6-shot magazine. The darts are plastic and can hit just hard enough to attract attention. It also has accurate shots that never disappoint. This is one of my favorite in the collection. It is easy to use, without much hassle to reload. Love the fact that I can upgrade to a 40 Dart QwikClip and still fire smoothly without missing any darts. With one of the most aggressive design compared to the other Halo guns, it will definitely stand out as a great edition to your collection. 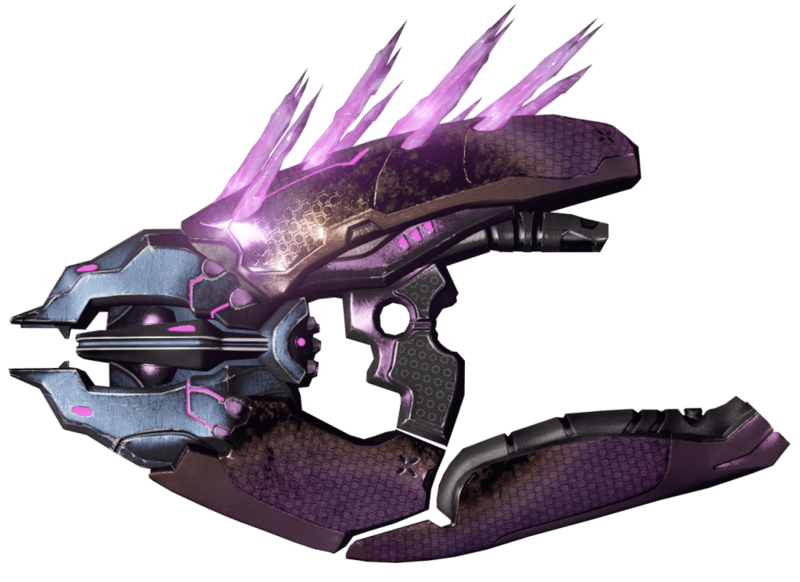 The most used Halo plasma rifle from the covenant race such as the Yanme’e, Unggoy and Kig-Yar. 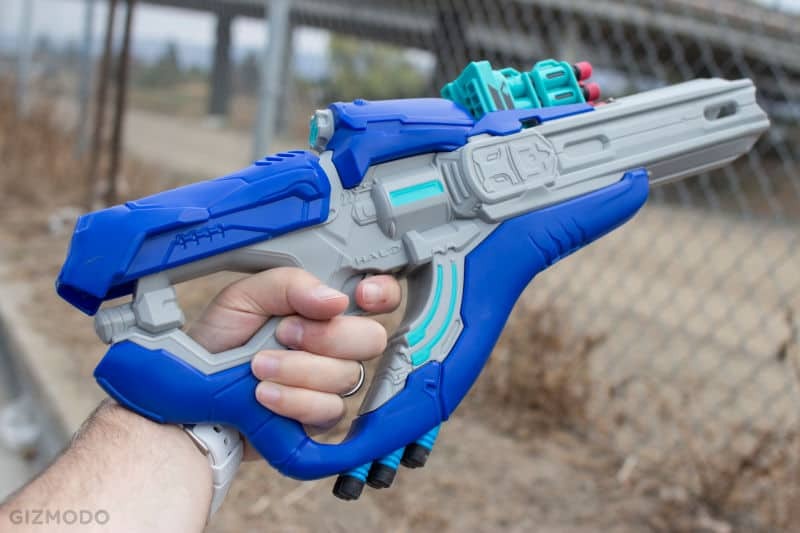 This Plasma Rifle Overcharge is an authentic weapon from the Halo 5 – Guardians. However, its Blue color scheme seems to have been borrowed from Halo 3 or Halo Reach. It has a unique sleek design that easily adapts into any UNSC environment. Like the Brute Spiker and the M6 Magnum guns above, the Overcharge is in the more affordable range. It feels solid and sturdy and it’s also easy to use for any 8+ Halo fan. 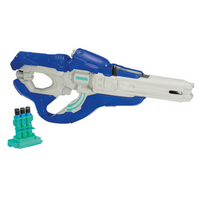 The slide-action Covenant Plasma Overcharge Blaster can fire accurately to distance up to 70 feet and it comes with 5 Smart Stick darts. This one does not use a magazine, darts are loaded directly into the barrel. The Smart Stick darts are made of semi-hard plastic that won’t wear out easily as is the case with average Nerf darts. It will remain functional for quite some time. BoomCo only releases 2 types of handgun in this series. Both are great guns to own for a reasonable pricing, without having to compromise on the details and performance. Personally, I would prefer the M6 over Type-25 plasma, as it is smaller and easier to keep as a spare gun. Designed with the authentic Halo features and sleek design, the M7 is an enormous and great looking weapon. With a total length of 16 inches, this is one of the biggest we came across throughout the series. However, despite its big size, it’s still easy to use for fans of age 6 years and up. 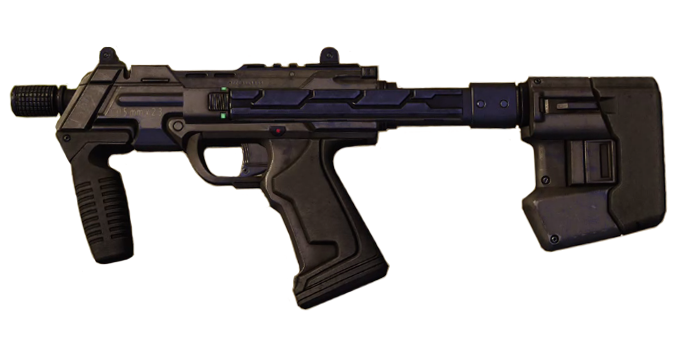 This gun is known as the powerful HALO SMG M7 Sub Machine Gun in the game. 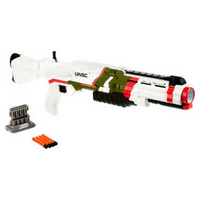 The SMG M7 Blaster features a vertical loading QwikClip that offers superfast reloads. Again, it has been designed not to jam. The QwikClip holds 6 darts via the magazine system. You can upgrade it to hold more darts if you wish. 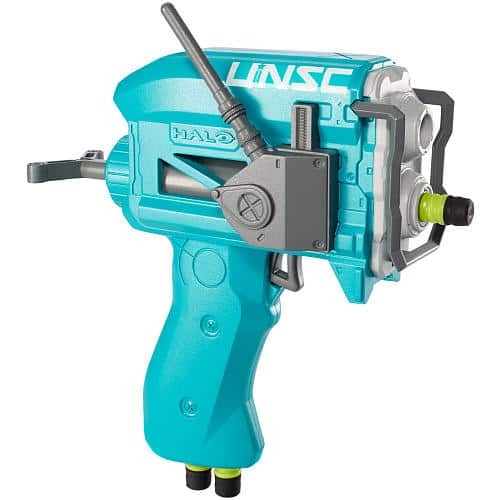 In conclusion, I would personally avoid this halo gun toy if possible. It still scores fair in term of design and aesthetic but not the best in handling and ergonomic design. The small grips area is not comfortable to fit bigger hands. 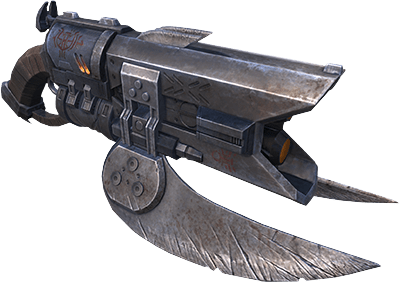 Also referred to as the Covenant Carbine, Type 51 is a covenant infantry firearm that was commonly carried by the Kig-Yar, Sangheili, and Jiralhanae. 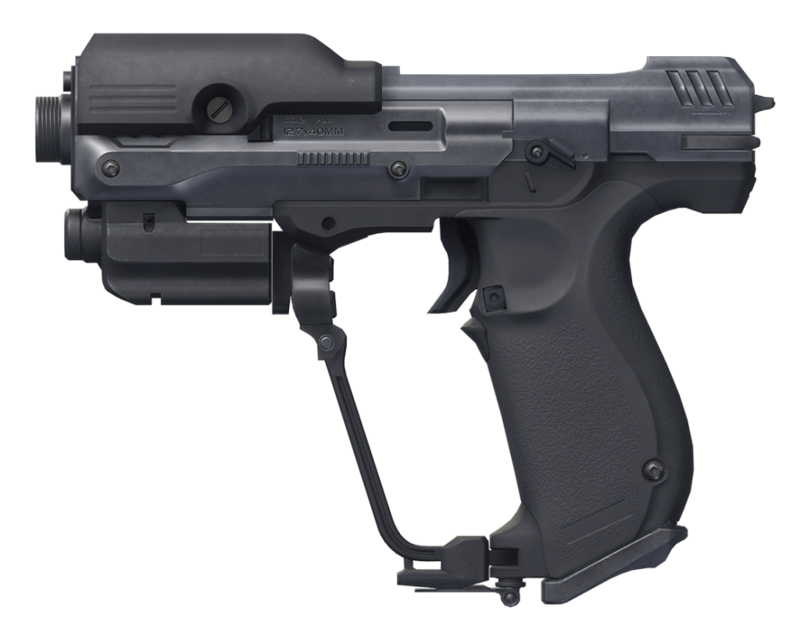 It is a charger-fed and recoil-operated Semi-automatic Blaster that could fire up to 18 rounds of magazine per reload. 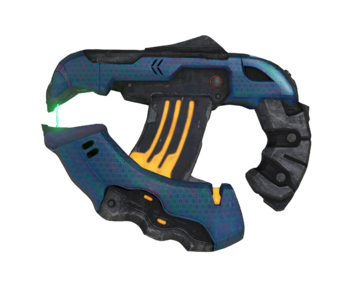 Widely use by the Covenant soldier, Carbine is specifically use for medium and long-range combat. The Carbine operates through a magazine system. It’s cylindrical in shape and holds 18 ammos in total. You can fit 6 darts in the magazine and another 6 in the additional storage space located at the bottom of the gun. 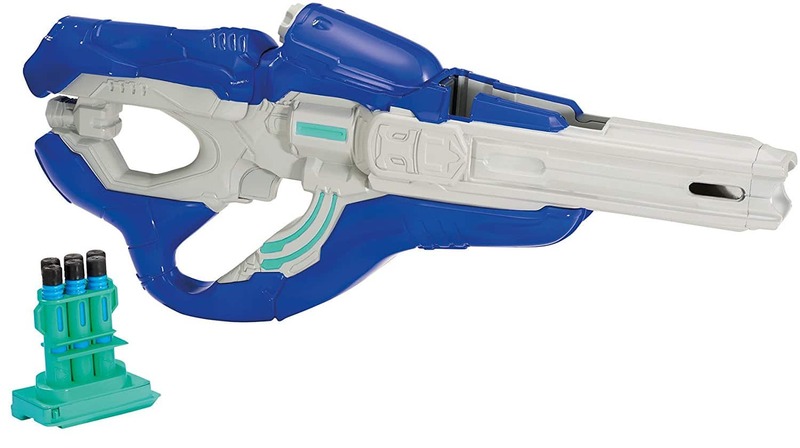 The major disadvantage of this halo guns toys model is that the size is way too small from the original length, making it looks like a pistol size weapon instead of full length semi-automatic rifle. The MA5 Rifle is almost two times bigger than the Carbine. It doesn’t fit as a cosplay for adult, but would fit perfectly for children. 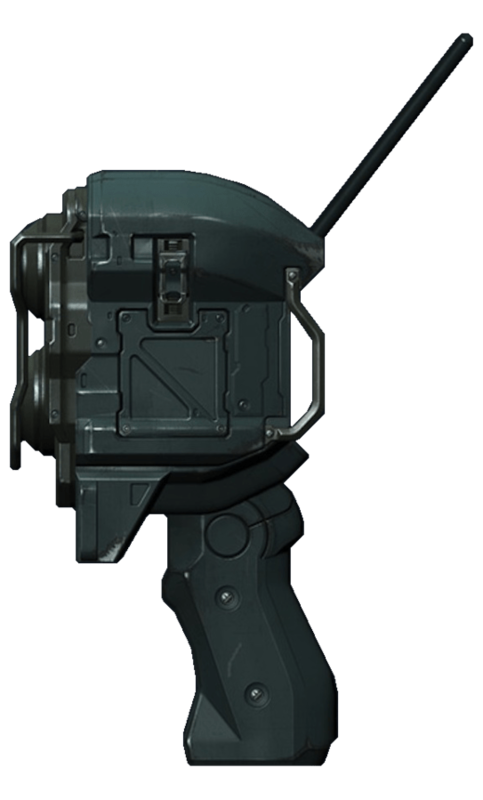 Known as the H-295 Target Designator Forward Observer Module, this is among the smallest guns in Halo line. Despite its small size, it’s still a decent blaster to add to your collection. It’s also highly affordable and boasts pretty good throwing force. The darts also have amazing accuracy. Featured with a target sight and pull-back mechanism to prime, the Blaster allows you to shoot accurately up to a 60 feet distance. 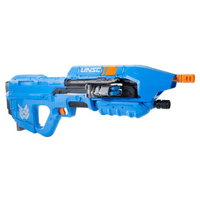 This is the cheapest and smallest toy halo guns in Boomco line. The details, design, and lining are relatively accurate to compare in game. 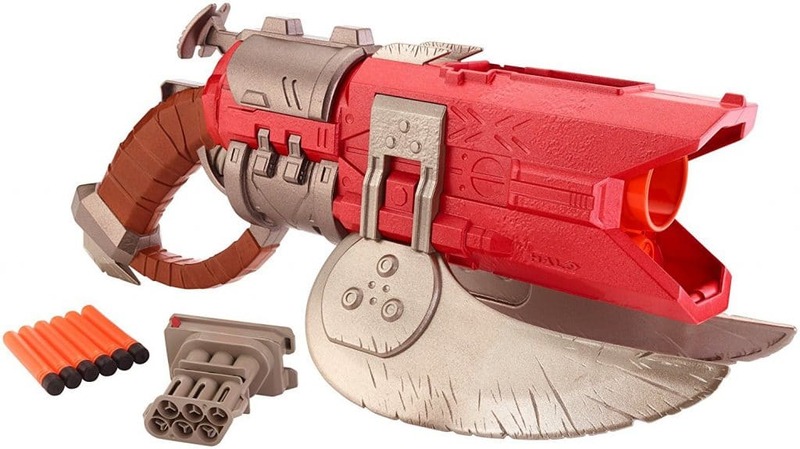 Not suitable for highly competitive nerf gun halo battle due to its small size and slow priming. 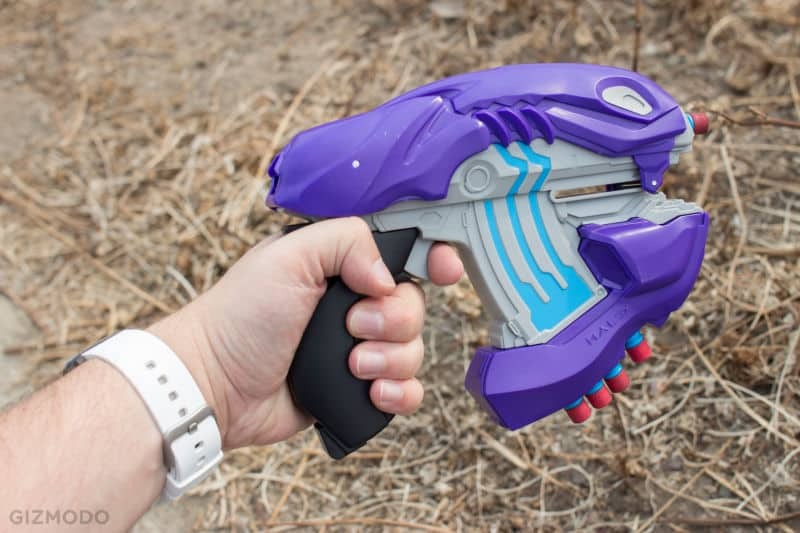 How Does Halo Boomco Gun performance Compare to Nerf ? NERF for more than 25 years NERF has been a synonym for a bruise-free fun using oversized plastic blaster which shoot NERF (Non-Expansion Recreational Foam) darts. However in 2014 – the year when NERF was acknowledged in the Guinness as the largest outdoors toy brand, a new challenger arrived at the market in an equally futuristic and whacky shape of BOOMco Guns. Boomco’s charm stems from the fact their products operate on manual air pressure in order to shoot and their hollow point smart stick’ darts, which really do stick to various surfaces if used properly. However, therein lie BOOMco’s toys biggest disadvantage (at least as seen by those who already have big NERF collections) – their darts although similar, aren’t interchangeable with NERF’s. 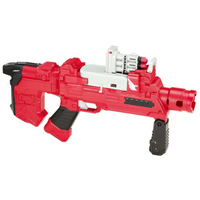 That said, if you are new to the blaster market – BOOMco’s futuristic design and relative ease of use might be compelling enough for you to consider their products. 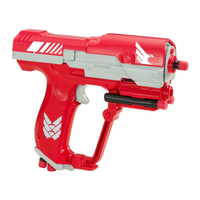 They came in several design and size groups from single shot Halo Blaster to the gargantuan self-loading’ Rapid Madness Blaster. 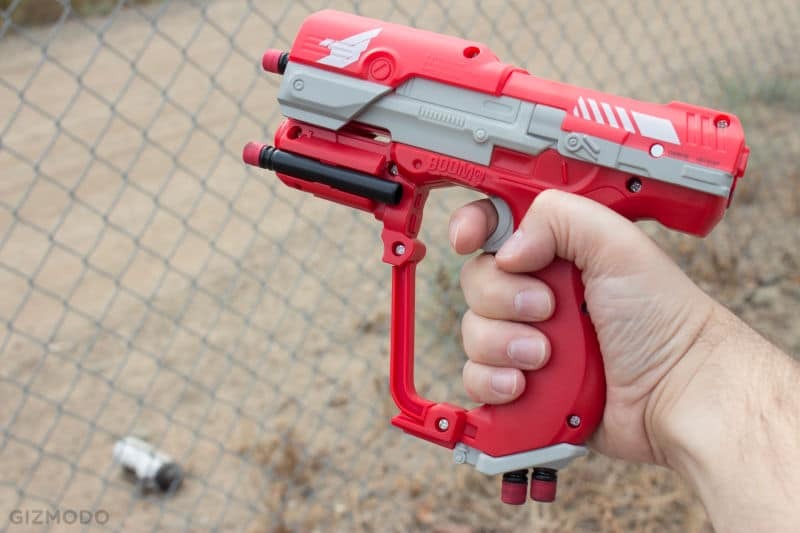 With ranges from 30 to 65 feet, Mattel’s blasters do pack a significant air-propelled punch. Another tedious detail when it comes to BOOMco’s smart sticks is that they get really dirty, really fast. This means that they require quite a bit of maintenance in order to work properly, and as the manual states, always make sure that they are dry before use. There’s something very entertaining about shooting things and Hasbro has made a fortune with its vast array of foam-dart-blasting toys. Even at first glance and first touch, NERF guns feel sleeker, more robust, more ergonomic and comfortable to use, while retaining their beautiful, futuristic design. Their recognizable foam-darts have set the industry standard when it comes to the world of outdoor fun. 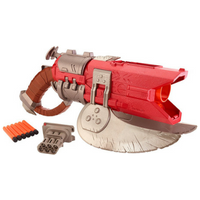 NERF offers an absolutely staggering assortment of blasters to choose from – if you are new to the game, it might feel very overwhelming. 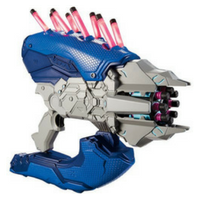 Their products come in several categories such as N-Strike Elite, Nerf MEGA, Nerf Modulus, Nerf Nitro, Zombie Strike and others. Many NERF guns require an additional power supply (usually in the form of 4 AA batteries) in order to shoot properly. Many of these produce futuristic machine’ sounds to make the entire experience even more immersive. However, one important thing to note is that NERF darts can be easily damaged if not operated properly, that is to say, if you don’t step on them too often or let your dog chew them. 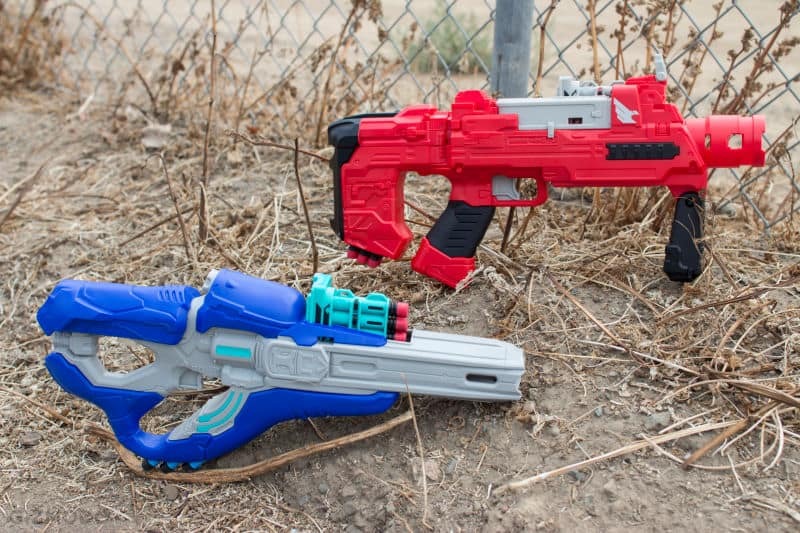 It is not really fair to put the two companies side by side as Hasbro’s NERF has been present on the market roughly 10 times longer than of Mattel’s BOOMco. 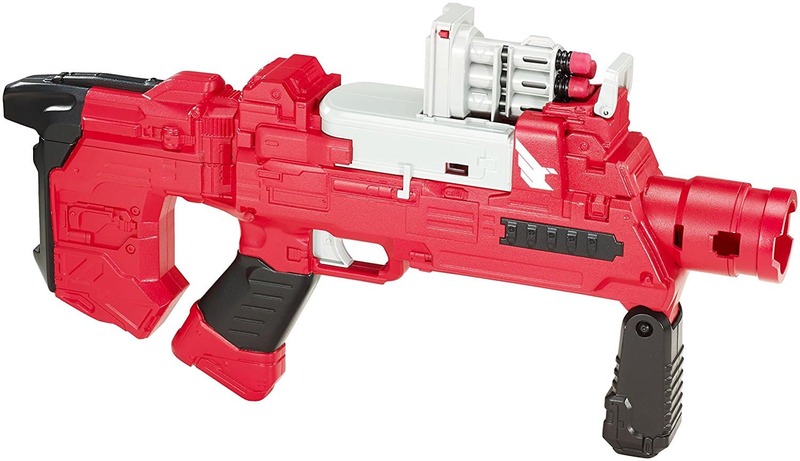 However, according to some tests BOOMco’s blasters have been outperforming NERF’s. Even though it’s still a long time away from posting any real market threat to Hasbro, with its innovative and original design, BOOMco has slowly but surely crept its way in the market. For those who seek something new and slightly different, BOOMco has surely offered a valid and inexpensive alternative. It remains to be seen if Mattel can keep up with Hasbro, but presently they are doing very good job. The prospects of BOOMco becoming even bigger in the future are very good as we can see the grassroots of a cult-following sprouting around the country. 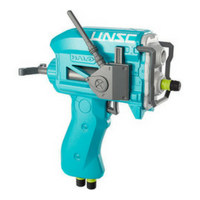 Why boomco’s online site doesnt show the most recent products and the new upcoming pistols like the socom blaster? Do you know where to find this Info? If you have this info, is possible upComing DMR replica? 13 How Does Halo Boomco Gun performance Compare to Nerf ?